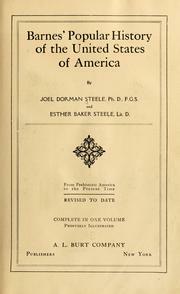 4 editions of Barnes' popular history of the United States of America found in the catalog. Add another edition? Are you sure you want to remove Barnes' popular history of the United States of America from your list? Rev. to date ... profusely illustrated. 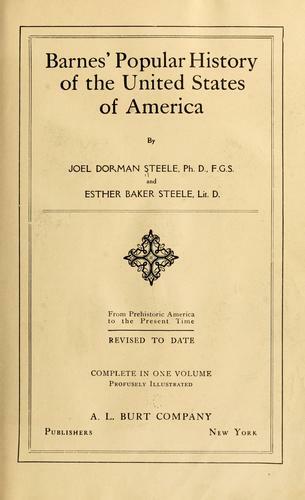 Published 1914 by A. L. Burt company in New York . September 3, 2009 Edited by ImportBot Found a matching record from Library of Congress .